Creating a strategic plan for the City of Baltimore structured around the Mayor’s Priority Outcomes and Indicators. Better aligning our existing performance management systems in a way that ensures consist priorities and measures, builds on our existing frameworks, and keeps Baltimore at the forefront of innovation in Government. Engaging the City’s many community stakeholders and partners in an ongoing, collaborative process toward achieving population-level results. Identifying multi-year targets for each of the Priority Outcome Indicators, and an action plan to help us reach those targets. Increasing opportunities for citizen participation in the City’s strategic planning and decision making processes. 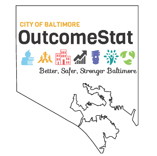 OutcomesStat uses data-driven decision making to align resources from all sectors in building and sustaining the best possible quality of life in Baltimore. 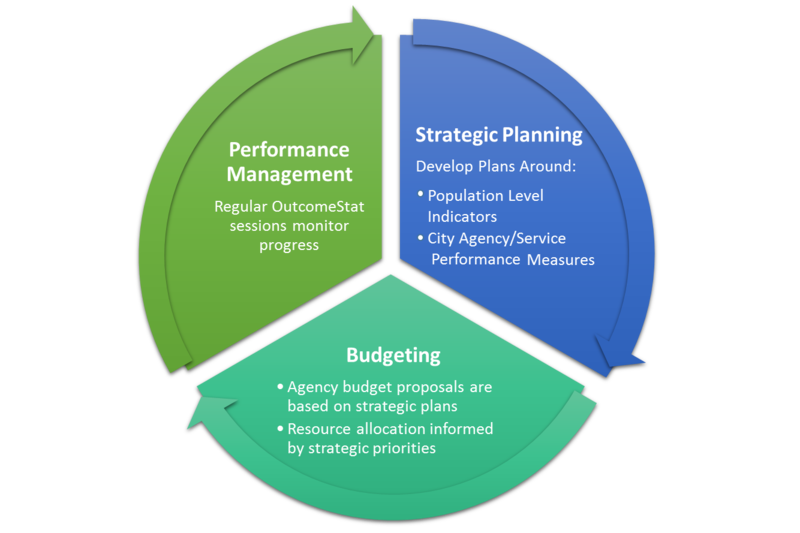 OutcomeStat aligns strategic planning, performance management, and budgeting. During the summer of 2015, Core OutcomeStat Teams worked to better understand each Indicator, and begin the strategic planning process for each. The teams looked at the data for the past several years and developed a root cause analysis for each. These analyses identified a variety of factors (both positive and negative) that have contributed to the trend we are seeing in the data, and are publically available on the OutcomeStat website. In September 2015, the Mayor held the first OutcomeStat Conference convening our many community partners. During this two-day event we discussed the current direction of the data, strategies to “turn the curve” and, and possible five-year targets. We will be continuing these conversations and partnerships throughout the upcoming budget process and ongoing OutcomeStat meetings. The OutcomeStat website will be updated as this work progresses. Our Fiscal 2017 Budget Process used the OutcomeStat documents to guide agency budget proposals, and Outcome Leadership Team members were incorporated on budget results teams. CitiStat will monitor service performance measures throughout the upcoming year, and we will begin holding regular OutcomeStat sessions to monitor our progress on each indicator. We plan to pilot our first OutcomeStat session this summer using the Growing Economy Outcome. OutcomeStat uses the principles of Results-Based Accountability™, developed by Mark Friedman, author of Trying Hard is Not Good Enough: How to Produce Measurable Improvements for Customers and Communities (2005).